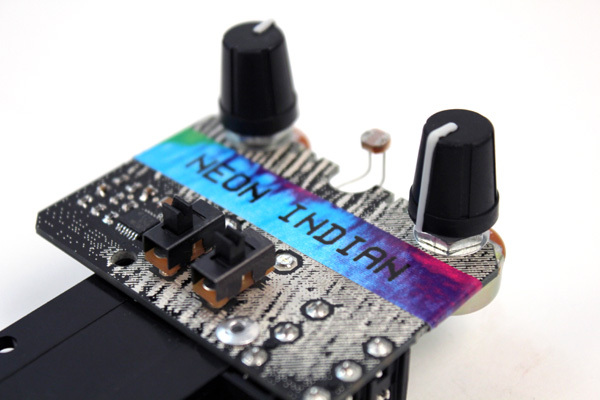 The PAL198X was available in 2011 for the release of Neon Indian’s album Era Extraña. 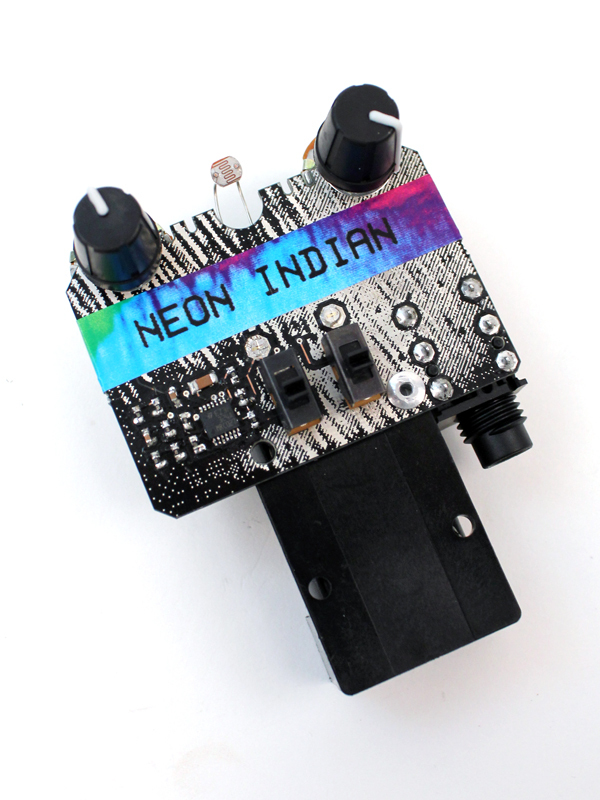 The PAL198X is based on the Pico Paso with a few modifications designed by Dr. Bleep and Alan Palomo of Neon Indian. The biggest addition are swappable controls which allow you to easily attach the included potentiometers or photocells (or a number of other device) in any configuration to create all kinds of triangle wave chaos. The device turns on when a mono 1/4″ inch jack is inserted. A stereo jack will not turn it on. You can hook up headphones to it but you’ll need an adapter. The left switch activates the left slot, OSC1. The right switch turns the middle slot, OSC2, on and off. The right slot is the LFO which affects both oscillators. You can hook up all kinds of other devices like soft pots, flex sensors, body contacts, vactrols, or anything else that has a resistance that can be changed. You can also try using different value potentiometers or photocells. The screw terminals can also act as CV inputs. Don’t hook the PAL198X up to a DC adapter. Only use 9V batteries. 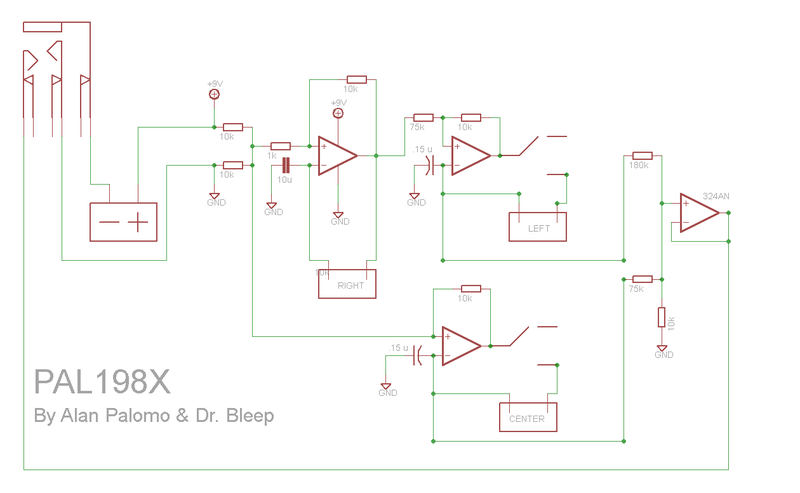 The PAL198X, like all Bleep Labs devices, is not intended for children. Don’t use the device if it is damaged or wet. Only use noise music for the forces of good.